Being A Yacht Delivery Skipper! Instead of sailing as being a hobby or pass-time, doing deliveries as a professional skipper is working. Although you might enjoy the sailing ('yes' is the right answer on this question), you have a schedule. The owner or the yacht delivery company is expecting you to do the delivery in the shortest possible time, with the safety of the yacht and the crew in mind, off course. The truth is that a lot of deliveries are done outside the most favourable timing. Deliveries happen when the order is given. No company is waiting half a year before the summer kicks in, for example. Even so are there transatlantic deliveries during the hurricane season. Deliveries can be short or long. Weather or mechanical failures can stop you for days or even weeks. Getting the right support or parts can be hard. Maybe the crew have to go back home, because they run out of time... Normally, you are expected to stay with the yacht and finish the delivery. Doing 3-hour watches over a long crossing can be very tiring, especially when the weather is not playing ball with you. Once I did a Transatlantic in March from Europe to the USA. We were beating against the wind, the currents and got depression after depression over us. 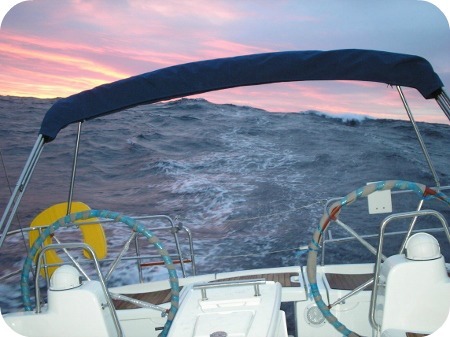 It rained almost continuously, the seas were big, there was lightning, the boat was leaking and there was no radar fitted... I think you get the picture! I think this gives you a more realistic picture of working as a delivery yacht captain. You can become a yacht delivery skipper, because you like the lifestyle and just stick with it. And that's perfectly fine. Or you can combine it with another yachting job, like being a yacht charter skipper in the other months that you don't deliver yachts.